As it was perhaps the worst campaign speech in the history of mankind, it should be no surprise that it led to the Northern tribes seceding and pledging themselves to Rehoboam’s rival, Jeroboam. Still, it raises the question — which is not addressed specifically in this story — of what, exactly, Solomon’s policies were that left the people so angry. What did Solomon do that made the people want to leave? Under David’s rule, the Kingdom was more or less united. He brought in the Benjamites and so on and established a setup intended to rule fairly over all of the people he awaited to represent. There were two high Priests; Abiathar and Zadok. Abiathar was from the North — the lone survivor among the Priests of Shiloh — who Saul tried to wipe out after they pledged their support to David. Shiloh was a very important place to the North with a long, proud history. 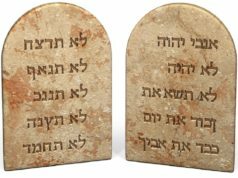 Samuel, the Prophet/Priest/Judge who had appointed both of the first two Kings, was raised by Eli, the high Priest of Shiloh. Zadok, on the other hand, came from the city of Hebron — the central city for David’s tribe — the tribe of Judah, which dominated the Southern half of the Kingdom. After becoming King over all of Israel, David moved his capital from Hebron (the primary city of Judah) to Jerusalem, a more central city recently captured from the Jebusites. In these ways and in others, David sought to ensure that the balance of power favored all under his Kingdom; preventing his own tribe, Judah, from using its significant size to hold sway over the rest of the nation. Solomon had twelve officers over all Israel, who provided food for the king and his household. Each man had to make provision for one month in the year. 8 These were their names: Ben-hur, in the hill country of Ephraim; 9 Ben-deker, in Makaz, Shaalbim, Beth-shemesh, and Elonbeth-hanan; 10 Ben-hesed, in Arubboth (to him belonged Socoh and all the land of Hepher); 11 Ben-abinadab, in all Naphath-dor (he had Taphath the daughter of Solomon as his wife); 12 Baana the son of Ahilud, in Taanach, Megiddo, and all Beth-shean that is beside Zarethan below Jezreel, and from Beth-shean to Abel-meholah, as far as the other side of Jokmeam; 13 Ben-geber, in Ramoth-gilead (he had the villages of Jair the son of Manasseh, which are in Gilead, and he had the region of Argob, which is in Bashan, sixty great cities with walls and bronze bars); 14 Ahinadab the son of Iddo, in Mahanaim; 15 Ahimaaz, in Naphtali (he had taken Basemath the daughter of Solomon as his wife); 16 Baana the son of Hushai, in Asher and Bealoth; 17 Jehoshaphat the son of Paruah, in Issachar; 18 Shimei the son of Ela, in Benjamin; 19 Geber the son of Uri, in the land of Gilead, the country of Sihon king of the Amorites and of Og king of Bashan. And there was one governor who was over the land. This is one of those boring Old Testament lists that most people would typically skim over, but here it’s intrinsic; of the 12 sectors of Israel (who did not at all correlate with the existing 12 tribal sections) whose job it was to provide food for the King and his household (extensive, hundreds and hundreds of wives), not a single one was from Judah’s territory. So now a High Priest and a King from Judah are being fed by gerrymandered districts composed of all of Israel except for Judah and led by governors appointed by Solomon, rather than by the people themselves. 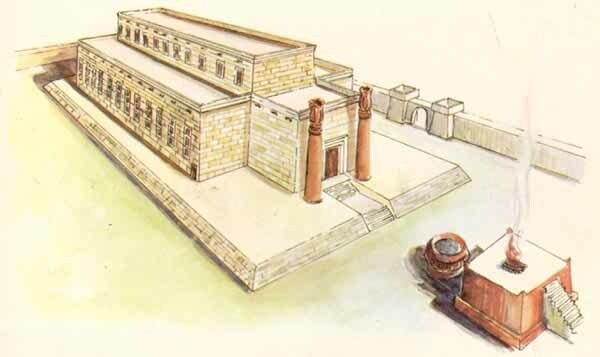 As though that was not bad enough, Solomon engaged in several major construction projects: the most famous of which is obviously the Temple of Solomon, which was built with cedar trees provided by Lebanon. In addition to conscripting forced labor from the people — no doubt a frustrating thing for a people whose cultural identity was wrapped up in no longer being slaves in Egypt — to help bring the materials from Lebanon and build the Temple, he ended up giving up a sizable chunk of land to Hiram, the King of Tyre who owned Lebanon. This land was 20 cities, all from the Northern part of the Kingdom. His own palace, larger than the Temple, was built similarly with conscripted labor and Hiram’s Lebanese trees. But those are not the only things the people of Israel were forced to build; he built military fortifications — Megiddo, Gezer, and Hazor — as well as a wall surrounding and protecting Jerusalem. This ended up being a good move, protecting Israel from Egyptian invasion. Unfortunately, these protections against powers like Egypt that threatened the South did not have an equivalent to protect the North from the threats which surrounded their part of the Kingdom, including the new empire in Syria that had split from the Kingdom of Israel to be led by a man named Rezon. Rezon, having had a bone to pick with Israel, ended up subjecting himself and his land to the Assyrians; and it was the Assyrians who ultimately took the Northern Kingdom of Israel, while the fortified city-states built by Solomon allowed the Southern Kingdom to exist in safety long afterwards. With all of these facts in mind, it’s surprising that Solomon managed to hold the Empire together at all during his reign; but not at all surprising that the Northern Kingdom and all its tribes chose to secede rather than be ruled by a man who promised to keep Solomon’s domestic policies. It’s then overwhelmingly unconvincing to say that David and Solomon had not existed as historical people. 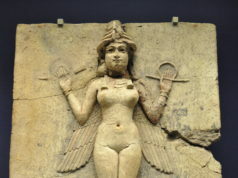 In spite of how obvious it seems that these things led to the split of the Kingdom, the text itself does not explicitly make that connection and appears to be drawing its accounts from now-lost historical works detailing the Kings and their actions. So either the text is an elaborate fiction in which the author presented a mismatched conglomeration of claimed actions intending for them to be things which would lead to the split of a nation without actually making the connection, or it draws from recorded historical events which, for the most part, actually occurred.